Our vocational school “Berufsbildende Schulen 1 Goslar -Am Stadtgarten-“, “BBS 1 Goslar“ for short, has a central and quiet location in the beautiful imperial city of Goslar. Goslar lies on the northern fringe of the Harz mountains in Northern Germany and has good transport connections e. g. to Braunschweig (Brunswick). The county of Goslar has 140,000 inhabitants, Goslar on its own 45,000. Cultural institutions, ample free-time activities and affordable housing are available. 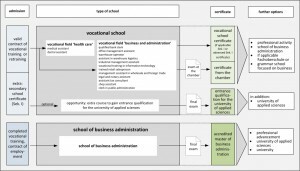 BBS 1 Goslar has existed for nearly 160 years and sees itself as a regional centre of competence for business and administration, health, information technology and communication. 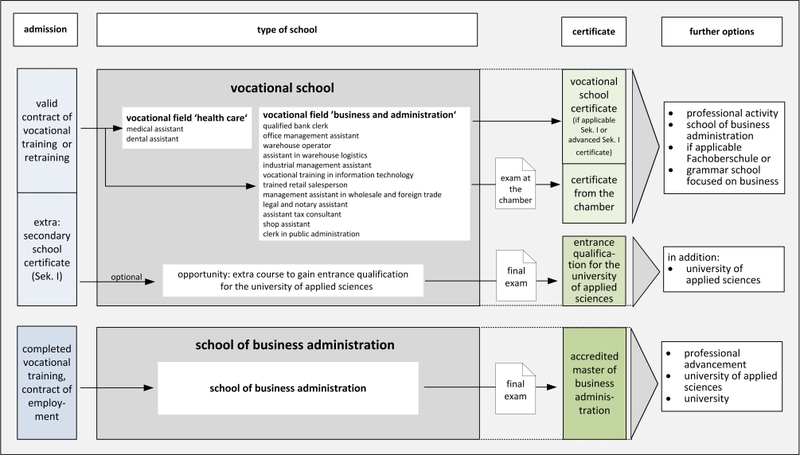 The text and video documents below deal with the system of vocational education in Germany and Lower Saxony (Niedersachsen), the state the city of Goslar is located in. 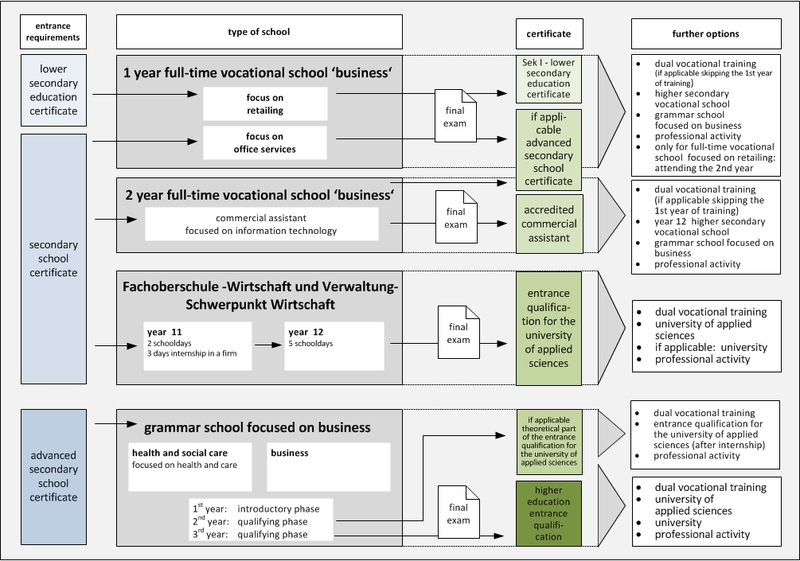 They describe the system of dual vocational training programmes typical of Germany. 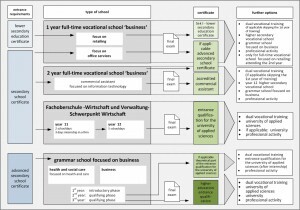 This system combines theoretical knowledge acquired at a vocational school (Berufsschule) with practical experience gained at the company the trainees signed an apprenticeship agreement with. One or two days a week, or several weeks at a stretch are spent at the Berufsschule, the rest of the time they are at their company where they apply their newly acquired knowledge in practice. There are around 350 officially recognised training programmes which last for two to three years. The combination of theory and practice makes sure that you will not only have the required theoretical knowledge, but you will also have hands-on experience in your job.